The difference is night and day between what this space was and what it is now. 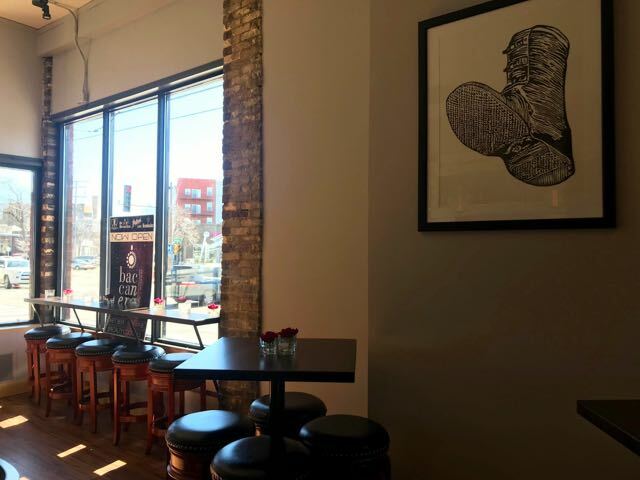 Published March 25, 2019 at 5:01 p.m.
Baccanera Enoteca, 1732 E. North Ave., will open to the public on Friday, April 5. The new lounge will specialize in wine from around the world as well as craft cocktails made with local and global spirits. 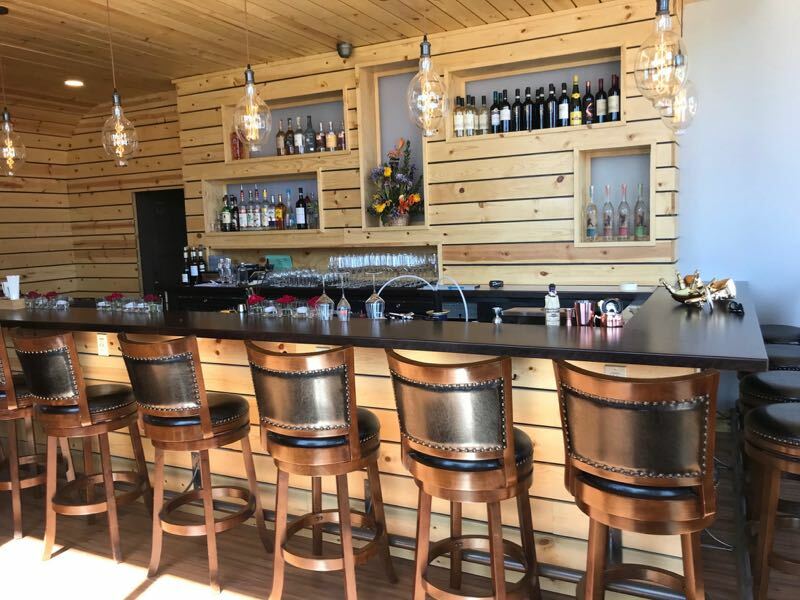 "We have a robust portfolio that's accessible, but has a strong knowledge-base behind it," says Taylor Layton, co-owner of the establishment, along with Alex Sperry. Baccanera – which is Italian for "black grape" and is a varietal of wine – offers about 150-200 different wines by the bottle and 7-10 that will be available by the glass. The wine selection will rotate regularly according to the season. Meat and cheese plates will also be available. The Milwaukee lounge is based on a wine bar in Italy of the same name. "Our wine list is curated by a sommelier from Baccanera Italy, and further developed by a sommelier right here in Milwaukee," reads the website. The space, formerly The Eastsider and before that the third-shift bar O'Reilly's, underwent a massive transformation. The layout is a mirror image of the former establishments with the bar now on the opposite wall. There are now many more exposed windows and skylights and the artistic, brand new bathrooms are twice the size as before. With natural wood and ample natural lighting by day and soft, ambient lighting in the evening, the overall feel of Baccanera – which was created by Flux Design – is warm and inviting. 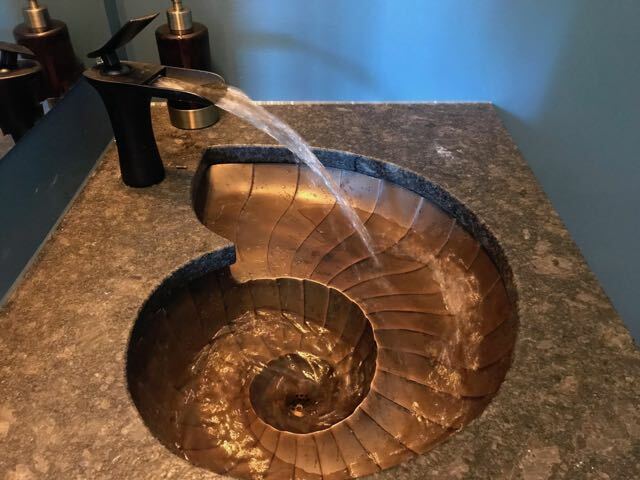 "We used almost entirely natural materials," says Layton. Baccanera was slated to open before the 2018 holidays, but Layton says the age of the structure – built in 1909 – and the extent of the necessary modifications caused the project to take longer than originally expected. "But that's fine," says Layton. "We feel we got it right." Baccanera reflects the ongoing transformation of Milwaukee's North Avenue from a party-hardy spot to an upscale entertainment district. 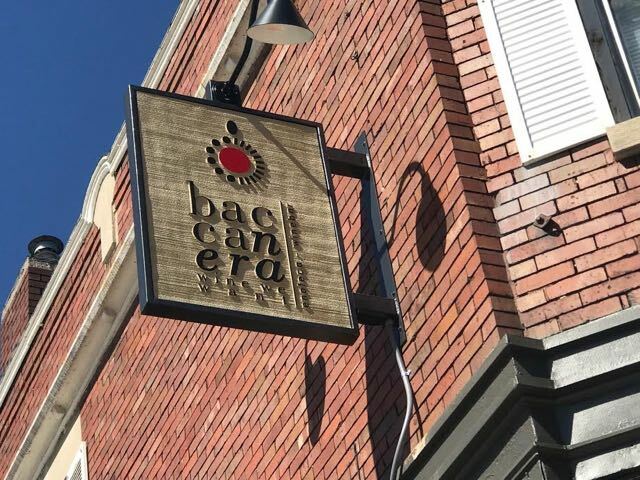 For owners Layton and Sperry, Baccanera's focus is on quality not quantity and the mission is to offer a casual and celebratory gathering place that's embraced by everyone from next-door neighbors to the entire city. "It's a bar, but at the same time, it's a shared, community space," says Layton. "We've put an incredible amount of care and effort into this."